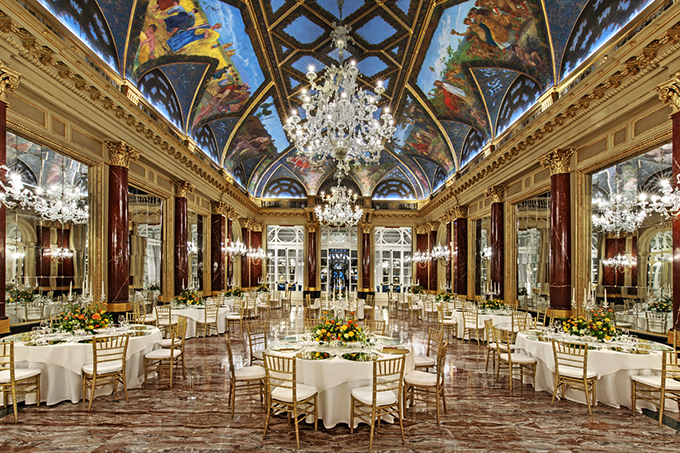 If you’re searching for a luxurious, royal venue that will host your wedding perfectly, then The Ritz Ballroom at The St. Regis Rome is one of the most incredible choices. This large party room combines architectural and aesthetic elements that belong to different traditions and create the most lavish result. 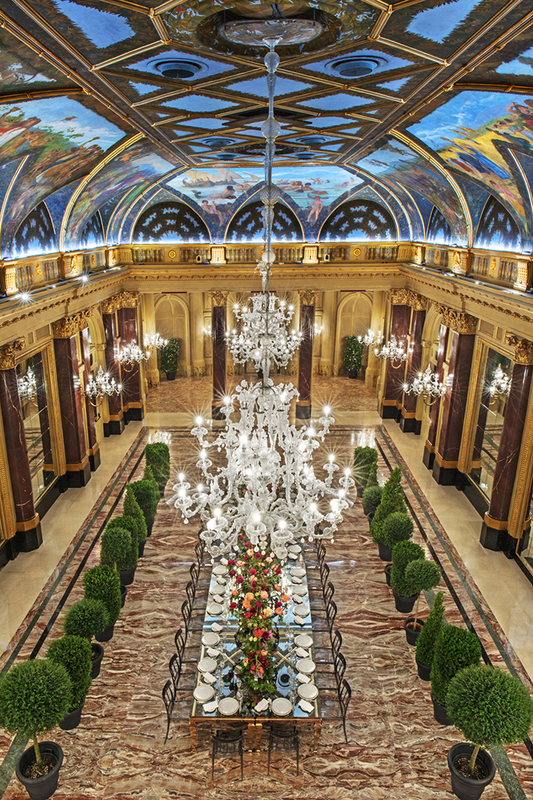 The general structure reminds of a Rome noble residence which is consisting of a single nave and is decorated with candelabras, large mirrors and impressive chandeliers. Special details are the beautiful frescoes by Mario Spinetti which are decorating the whole vault. 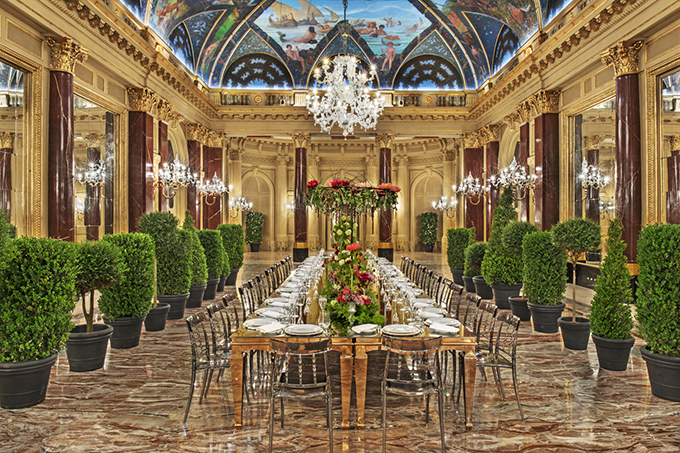 In the middle of the room, an opulent table is set and steal the impressions with its unique decorative touches. 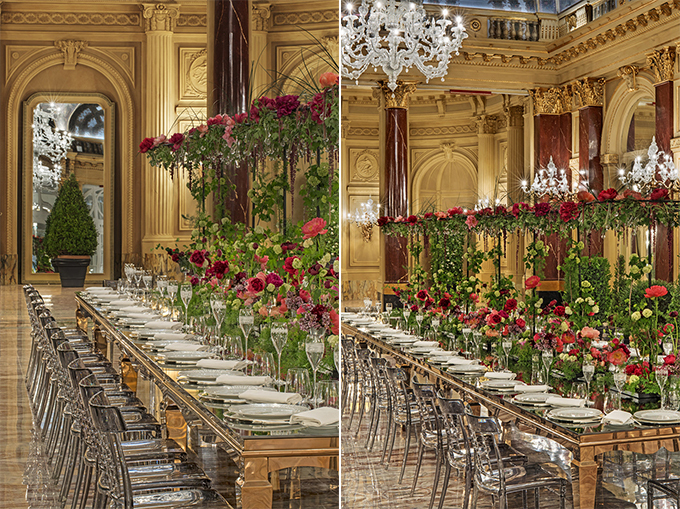 The table is adorned with luxury tableware, grey ghost chairs and amazing centerpieces with greenery and fresh flowers. Feast your eyes on all this beauty through the following images!